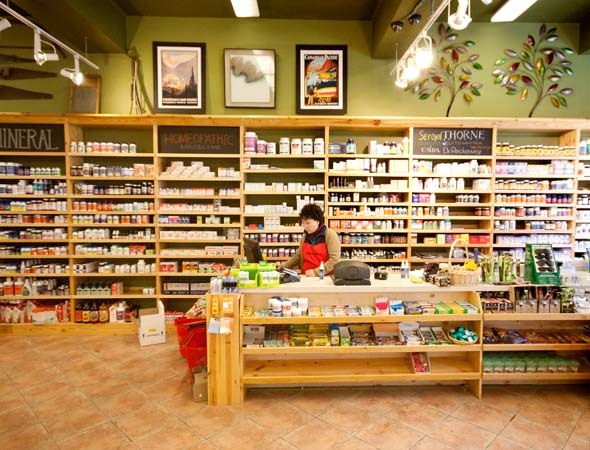 Herbs & Nutrition just opened its newest space in Toronto, and the store is huge. 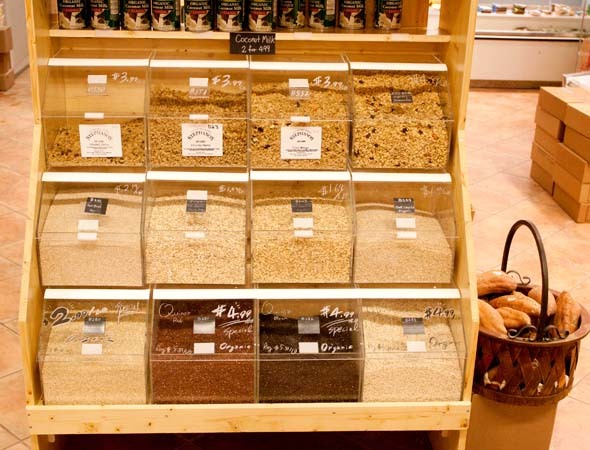 All that room means lots of healthy, organic products, and tons of selection and variety. The store opened on Bloor just west of Bathurst in December, but it has yet to have its official opening (look out for specials and demos). 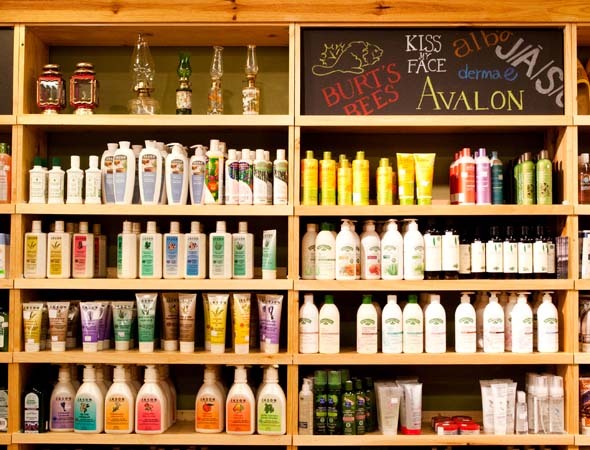 They're waiting on two things, the owner's son and store manager Ken Hur tells me; the creation of a DIY lotion and beauty products station, as well as a sprouting station. "We're hoping that will be ready sometime in March," he tells me. In the meantime, the Annex seems to have already discovered the vast selection and great prices at Herbs & Nutrition. "We really try to keep prices down," Hur says. "We deal with the farmers or companies directly to keep costs low." And it's not hard to spot the deals. The centre aisle always has products on special (today it's Almond Breeze for $1.99) and there are other sales scattered throughout the floor. 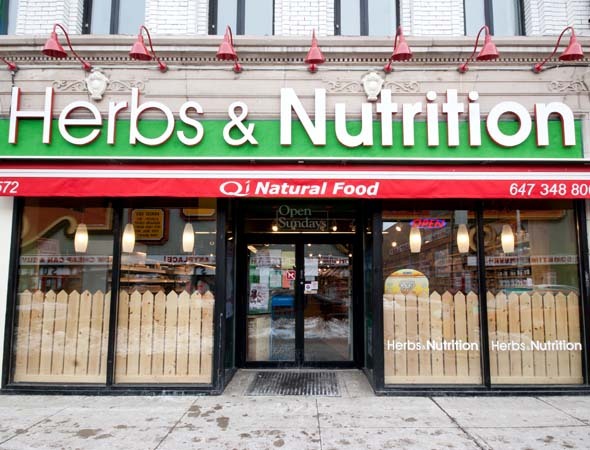 Herbs & Nutrition is affiliated with Qi Natural Food which was started 15 years ago Ken's mother, Hei Joung Hur, who began her career as a pharmacist before opening Qi on Bloor near Christie, as well as Roncesvalles and Eglinton Ave. West. "She has always been about maintaining a healthy lifestyle," Hur tells me as he walks me through the store. "That's why she wanted to start this up." The space has cottage-like wood everywhere, an earthy-green ceiling, and the family's collection of antique cameras and farm equipment mounted on shelves above the groceries. 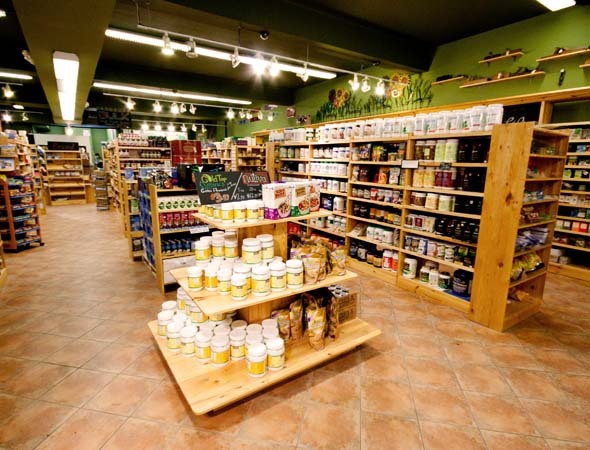 The most impressive feature, though, is the wall of Herbs & Nutrition's 300 different types of herbs, bagged individually and organized in custom wood drawers designed by Hur's father. There's everything from Bayberry Bark ($6.49/bag) to Dandelion Root ($4.99/bag) to Strawberry Leaves ($3.99/bag) and Lavender Flower ($1.99/bag). 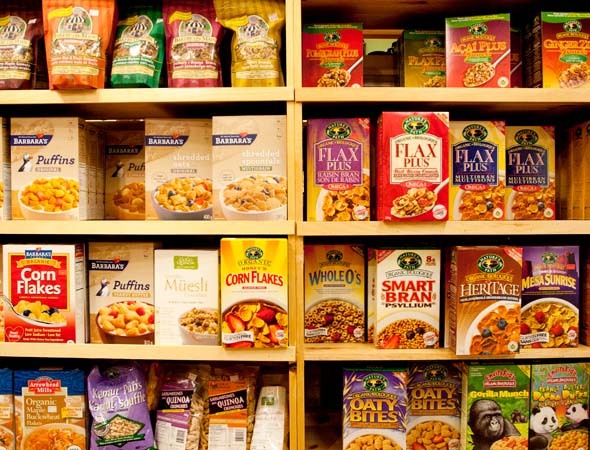 There's also a huge selection of supplements, cereals, hygiene products and some fresh produce. You can also grind your own peanut butter (creamy or smooth!) right in store. 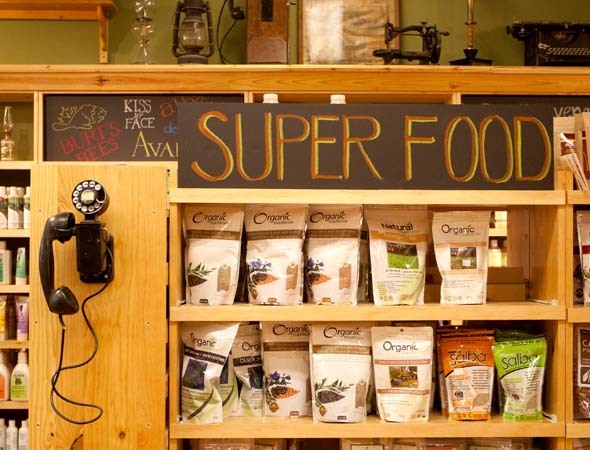 And for information on any of the many 'superfoods' in stock, just ask one of the staff. "Here's a good example," Hur says, leading me to a bin of Golden Berries (13.99/bag). "These are really high in anti-oxidants, really good for you." The store contacted the consulate in Peru to find a farmer who could ship directly to them. "That keeps the cost down," Hur says. Other body-boosters include pomegranate powder and tiger nuts. When in doubt, look under the big "Superfoods" sign.